The bustling old port city of Kollam has long stood as a center of international trade and mercantilism, and the center of town continues the tradition with its lively scenes of commerce. Kollam is known for nature, beaches, historic sites, spas, and outdoors. Your plan includes some of its best attractions: kick back and relax at Kollam Beach, soothe aching muscles at some of the top local wellness centers, get great views at Neendakara Port, and visit a coastal fixture at Thangassery Light House. 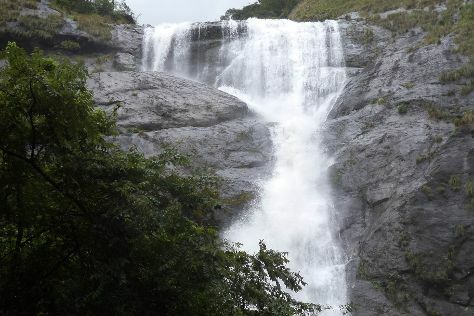 To see ratings, traveler tips, other places to visit, and other tourist information, refer to the Kollam itinerary planner. New Delhi to Kollam is an approximately 11-hour flight. You can also drive. Plan for much warmer nights when traveling from New Delhi in November since evenings lows in Kollam dip to 29°C. On the 22nd (Wed), wrap the sightseeing up by early afternoon so you can travel back home.